After nothing but the outcome went according to plan for the Blackhawks in Game One of the Stanley Cup Finals, Game Two figures to present another group of unexpected circumstances and adjustments. In Game One, the Blackhawks had to adjust on the fly to a mid-game goalie change from the Flyers, who will go back with Michael Leighton in Game Two. The adjustments made by the Blackhawks eventually worked, though, as they were able to control the puck significantly better in the third period. After allowing 26 shots in the first two periods, the Hawks held Philadelphia to three in the first 13 minutes of the third period. Captain Jonathan Toews agreed with Sharp’s assessment. The back-and-forth action early has been attributed by both teams to nerves and excitement in part, and both teams indicated it’s not the way they hoped to start the Stanley Cup Finals. “It felt like the game to decide who gets the first overall draft pick,” said defenseman Brian Campbell. Entering Game Two, the Hawks will have more adjustments to make. They will not see Ryan Parent or James van Riemsdyk in Game Two, as Philly will instead dress instigator-extraordinaire Daniel Carcillo and defenseman Oskars Bartulis. 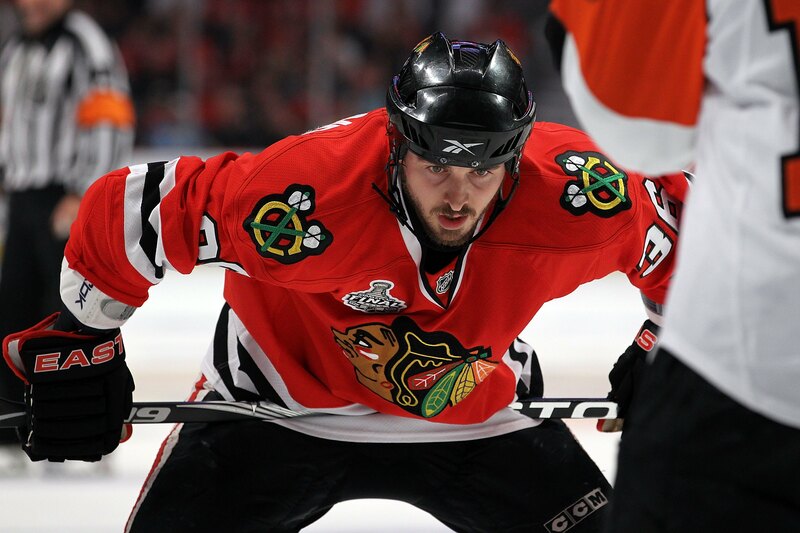 Carcillo was asked about Chicago’s “energy” player, Adam Burish, after the morning skate. While fighting might not be on the menu for the Hawks in Game Two, they expect the physicality of the series to continue to increase. After 77 combined hits in the first game and two Blackhawks, Brent Seabrook and Niklas Hjalmarsson, requiring stitches during the game, increased physical play is just part of the package, according to Duncan Keith. 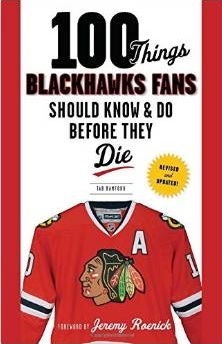 If the Blackhawks play the way they did in the regular season and finished Game One on Monday night, they should be able to take a 2-0 lead to Philadelphia.